FEB SPECIAL....STAY 2 WEEKNIGHTS GET 3RD FREE. DISCOUNT WILL BE TAKEN FROM UPDATED QUOTE FROM OWNER. A Secluded Bearadise is great for a fun family vacation or a romantic honeymoon. 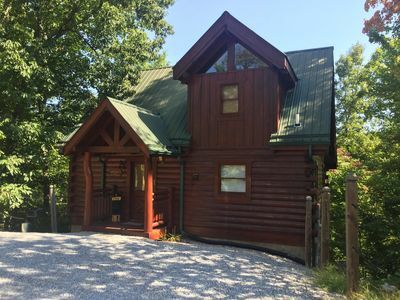 This cabin is a beautifully decorated, secluded cabin in the Smokies which is centrally located half way between Gatlinburg and Pigeon Forge in the popular Sky Harbor Community. 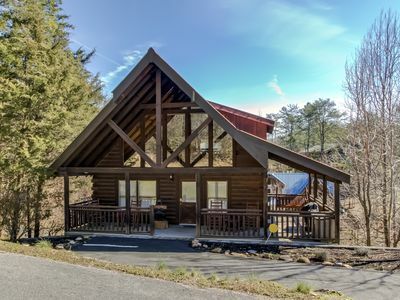 A Secluded Bearadise Cabin offers all the amenities you’d want in a vacation rental, the conveniences you enjoy from home, and a location just eight miles from Gatlinburg, Pigeon Forge, and the Great Smoky Arts & Crafts Community. You are just minutes away from all major activities. Maybe you want to spend a day at Dollywood, take a drive to Cade Cove to see the wild life or maybe you just want to sit on the private deck and do absolutely 'Nothing'. 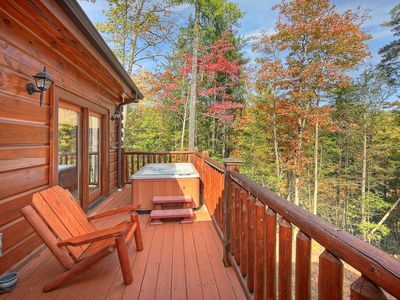 A Secluded Bearadise is everything you would want in your home away from home. 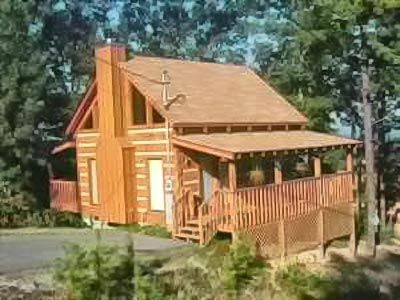 This 2 bedroom cabin is located on a beautiful, private hilltop where you can relax on the open porch or soak your troubles away in the new outdoor, 6-person hot tub overlooking your scenic wooded views. 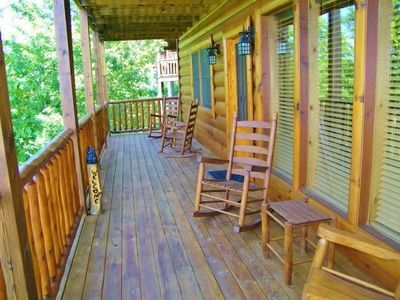 The porch boasts authentic log furniture to carry the mountain feel throughout every inch of this cabin rental. A dining table for five offers a peaceful spot for outdoor meals on sunny days. 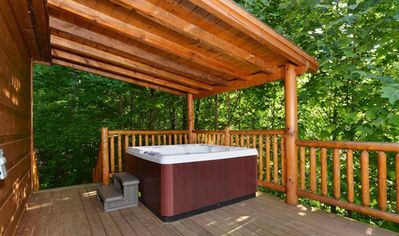 With the lush woods of the Smoky Mountains surrounding your spacious deck, you’ll feel completely swept away from it all! One of your favorite spots in this gorgeous cabin will likely be the well-equipped game room! With fun décor and comfy seating, the game room is ideal for both children and adults of all ages. It features a pool table, popcorn maker, 60-game multicade, 50-inch plasma TV, and a window with a wooded view. The cabin is also well equipped with many movies, games, cards, puzzles and children’s toys. On cold nights and hot days you’ll spend many hours playing and hanging out with family and friends here. After game playing, settle down and watch a movie while snacking on “theater style” popcorn from the popcorn popper or relax in the massage chair. For the technology lovers, there are also flat screen TVs in each of the bedrooms, and the family room is equipped with satellite TV. Wi-Fi Internet access is also available for your convenience - you can keep up with the outside world or look up area attractions and upcoming events. 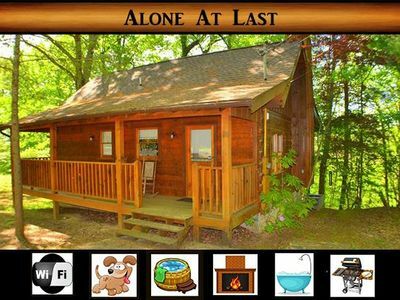 This cabin is perfect for a family vacation or retreat with your friends. A Secluded Bearadise boasts two bedrooms, the master is furnished with a king size bed and the guest room with a queen size bed. Small children will love sleeping in Yogi and Boo Boo’s Dens which are built-in cubby holes complete with their very own twin mattress and alternative down comforters. For your little one’s convenience, this cabin is equipped with a Pack N Play and booster seat. For added peace of mind, this cabin is armed with a security system. 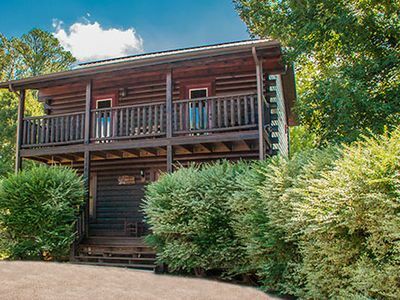 Whether you are seeking serenity and relaxation in the hot tub or games and entertainment in the game room, this cabin is sure to make your vacation complete! 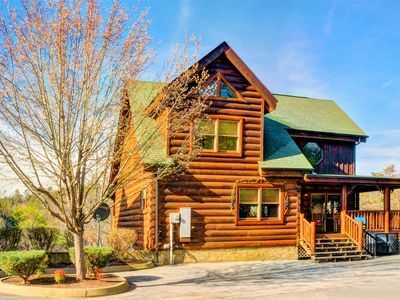 With such a short drive to the Arts and Crafts Community, downtown Gatlinburg and Pigeon Forge, A Secluded Bearadise makes exploring these bustling mountain towns easy and convenient. You won’t waste time traveling to attractions and restaurants, so you’ll have more quality time actually enjoying them. 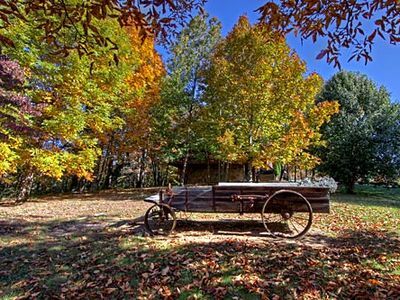 An 8-mile loop of local artisans and craftsmen, the Great Smoky Arts & Crafts Community offers guests a huge variety of hand crafted goods – from pottery and paintings to jewelry and baskets. Along the drive you’ll find unique shops and classic Smoky Mountain scenery! 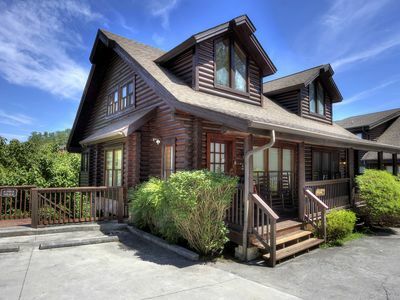 A Secluded Bearadise is also convenient to popular area attractions, including Ripley’s Aquarium of the Smokies, Dollywood, and Fannie Farkle’s! You’ll find plenty of entertainment just minutes from your cozy cabin. 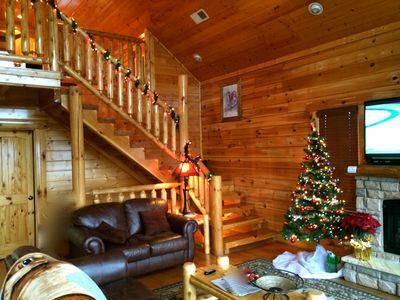 A busy day in town will leave you ready to relax at your beautiful, cozy cabin. A Secluded Bearadise is truly the ideal mountain getaway and will leave you wanting to return again and again! 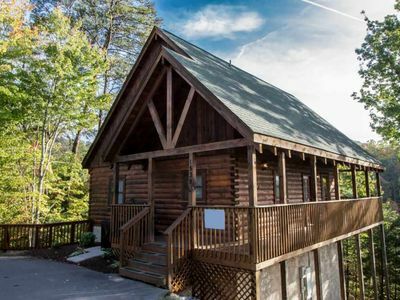 Boasting lush wooded views, beautiful interiors, luxurious amenities, comfortable sleeping spaces, and plenty of outdoor room, A Secluded Bearadise may be your Smoky Mountain home away from home! Best of all, there is no CHECK-IN OR CHECK-OUT. I will email your arrival information to you so all you have to do is drive straight to the cabin. Upon your departure, just text me that you have checked out. 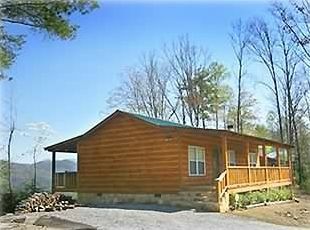 'Bear Down' Sevierville 4BR Upscale Cabin! 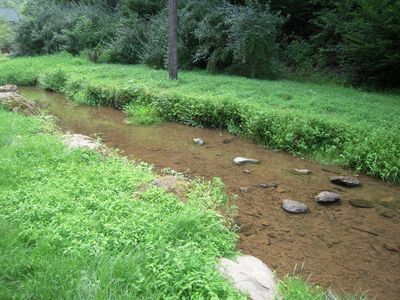 Luxury log cabin on year round creek with amazing location! 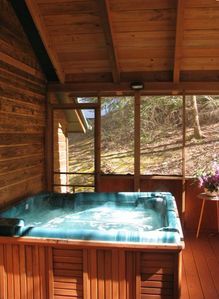 Ask us about Spring Specials!Hot Tub, On Creek, 3 Miles to Gatlinburg! 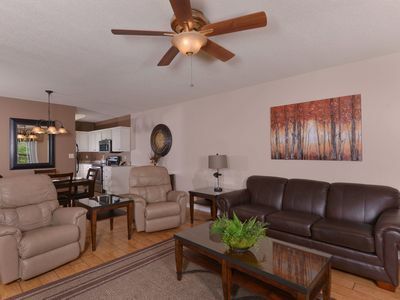 Kick Back Shack ~ Game Room w/ pool table - Hot Tub - Heated Indoor Pool - Close to Attractions! EXPERIENCE THE CLOSEST THING TO HEAVEN IN THE SMOKIES! LOCATION!